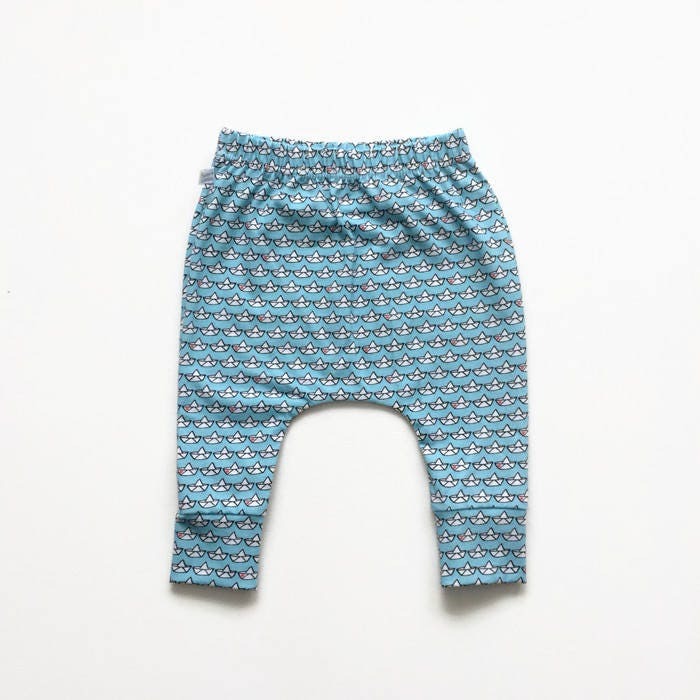 These slim fit harem pants will look great on the little one in your life! These pants are made of blue cotton knit fabric. The fabric features small white boats, and the cuffs are made of the same fabric. These pants are comfortable, but not too slouchy. 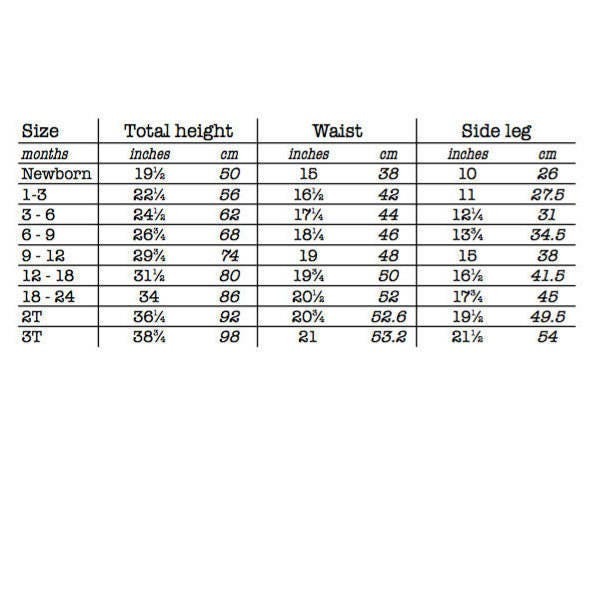 There's enough room in the pants for your baby or toddler to move about.